I have alot of noise coming from the neighbors property through the loft and back through the ceiling into my bedroom. I am therefore wanting to insulate the loft and have been advised by an acoustic company this would be the way forward, as this is a weak spot. I am going to use this form of mineral wool insulation, Knauf Earthwool Loft Roll 200mm. Does anyone know anything else i can combine with this such as carpet underlay or anything further that might help to reduce sound further? I have heard that QuietFloor Plus carpet underlay is good for sound reduction, can i lay this on the loft ceiling joists to hopefully help with sound travelling? I am also going to use Green Glue Noiseproofing Compound, for any holes i find in the brickwork on the wall at the back of the loft that connects to the neighbors property. Is this sealant okay, or can anyone recommend anything better? Thanks very much for all your help. I look forward to replying to your posts soon, as ideally i want to start this job in the next 7 - 10 days. In order to reduce sound transfer you will need to use a dense insulation material. The knauff insulation is very lightweight and I doubt it will have any beneficial effect. Suggest you use rockwool sound insulation slabs this will need sticking to the wall in a continuous layer. 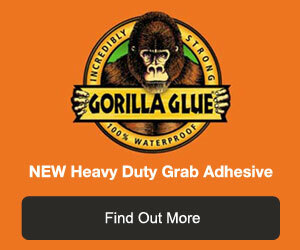 Have a word with rockwool technical an see if they can suggest a suitable adhesive.